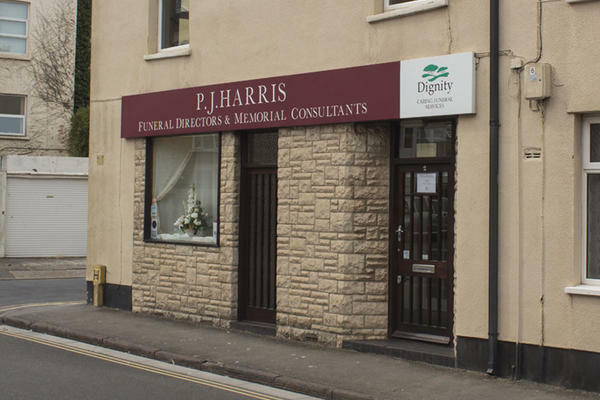 At P J Harris Funeral Directors in Burnham-on-Sea, we tailor funerals to meet the specific wishes of the families we serve. By choosing us to arrange the funeral, your loved one will have a dignified, yet personalised, send off that reflects their life. You have the choice as to how you want to remember your loved one. We will offer guidance and advice to assist you in making any decisions you are unsure about, and the support we offer throughout will help to provide comfort at this difficult time. The team at our Burnham-on-Sea funeral directors will listen to your needs and arrange the funeral service accordingly, honouring any last wishes your loved one might’ve had. Our funeral home can be found on Cross Street, placing us central to the town and just off the seafront. From here we not only serve the local community, but also those from the wider Sedgemoor and Somerset district. These include the families of Brean, Cheddar and Highbridge. We are here for you, no matter what, and available to call 24 hours a day. To arrange a heartfelt farewell for your loved one, get in touch today. Call us today on 01278 782886 to talk through your personal requirements. At P J Harris Funeral Directors, we understand how special life is with those that you love. For us, every funeral is unique and personal. We have a service to fulfil every wish, with every detail carried out with the same uncompromising quality of care. From a traditional service, to a colourful woodland burial, your options are limitless with our Full Service Funeral. If you have a little more flexibility when it comes to arrangements, then we can provide a Simple Funeral for a lower cost. You can find us on the junction for Cross Street and John Street, 50 yards from the pier. Our staff are available 24 hours a day on 01278 782886 if you require our services outside of these hours. What a welcome I received at this sad time for me. Nothing was too much trouble, everyone was friendly. They didn't try to make you spend money on their more expensive items, it was all on what was best for you and what you could afford. Very professional.